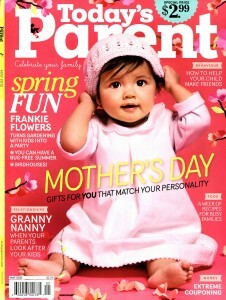 In their May issue, Today’s Parent features Felt MOSAICS, which has been been earning a fair bit of attention lately! The activity is featured under the heading “Divine Design.” Nice consonance! Consonance aside, we appreciate the attention drawn to Felt MOSAICS’ design, which is well-designed in addition to be an a activity that promotes interest in skill in the area of design. 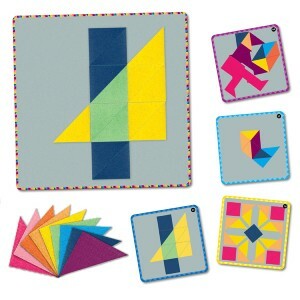 The felt board, felt triangles and images cards are meant to be a simple yet sophisticated entry point into the concepts of design, and we’re glad to hear that it is succeeding! As Today’s Parent says, “the possibilities are endless”! More information on MOSAICS is available here. 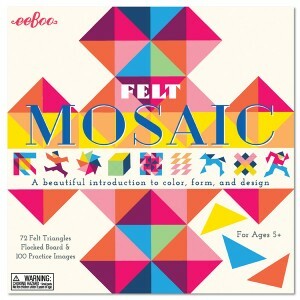 Felt Mosaics Earns Video & Review in Time to Play! 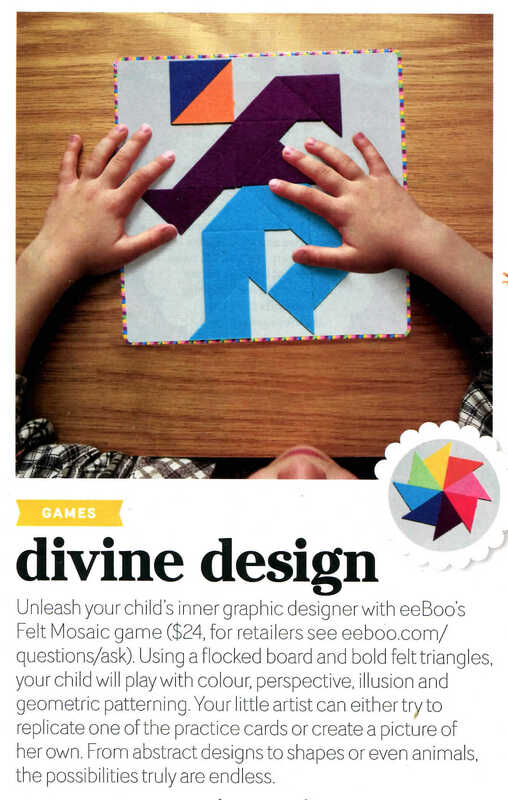 Felt Mosaics has earned an excellent review from Time to Play Magazine, adding to the growing voice of public approbation. 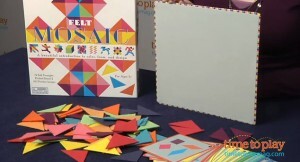 Time to Play gave Felt Mosaics an average of 4 out of 5 stars, along with an informative, thoughtful review and an accompanying video. 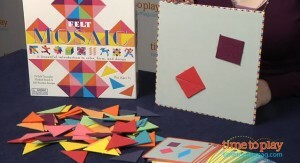 Visit our site for more infomation on Felt Mosaics ! Don’t miss out on the activity that is setting the press a-buzz! MOSAICS, a new activity by eeBoo that stands out equally for its beauty, usefullness and enjoyability, has been gaining recognition and approval ever since its release in February. Two recent examples include a video feature in TDmonthly, a leading trade magazine, and a review on the blog Notes from Dawn. MOSAICS was a staff pick for TDmonthly. 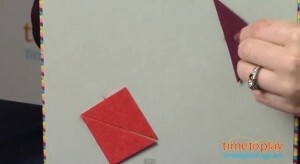 Their video demonstrates how the activity works, and shows off the various components, including the felt triangles, playboard and image cards. If you’re curious, give it a watch! You can also check out MOSAICS here!